The Jewish calendar is filled with holidays and festivals that commemorate important milestones in our history. 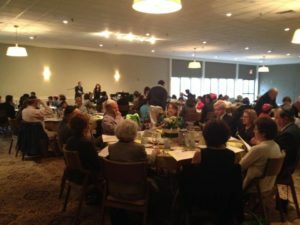 These occasions are an integral part of Temple Emanuel and provide opportunity for us to pray, learn and celebrate as a community. For each holiday we strive to create meaningful and spiritual worship for all members of our congregation. High Holy Days are a time for reflection, introspection, prayer and re-connection. Come share the spirit and wisdom of Rosh Hashanah and Yom Kippur. These Holy Days are a time of prayer, music, reflection and learning. Come and join our congregational family for a spiritually deep High Holy Day experience. We offer a variety of services to meet the spiritual needs of our diverse community. Review the Schedule of Services for a list of dates, times and locations of services. Members of the congregation in good standing will automatically receive High Holy Day tickets for each adult member of their household. Children attending college and younger do not require a ticket. Members are also welcome to purchase additional tickets for other relatives and guests at a discount rate. If you are not a member of the congregation and not yet ready to make that commitment, we are pleased to offer two different ways to join us. You may purchase High Holy Day tickets and if you decide to join the congregation shortly after the holidays have ended, we will apply the ticket costs toward your membership dues! Please contact our Executive Director for details. 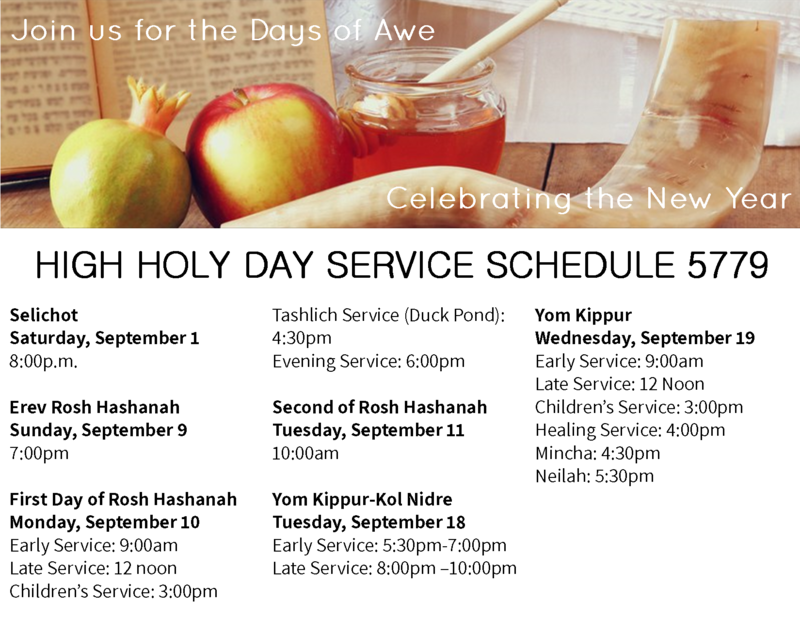 Or, join us for our complimentary Erev Rosh Hashanah, Second Day of Rosh Hashanah, early Kol Nidre, Mincha, Neilah and late afternoon Family services. Sukkot, a Hebrew word meaning “booths” or “huts,” refers to the Jewish festival of giving thanks for the fall harvest, as well as the commemoration of the forty years of Jewish wandering in the desert after Sinai. Sukkot is celebrated five days after Yom Kippur on the 15th of Tishrei and is marked by several distinct traditions. One tradition, which takes the commandment to “dwell in booths” literally, is to build a sukkah, a booth or hut. A sukkah is often erected by Jews during this festival and it is common practice for some to eat and even live in these temporary dwellings during Sukkot. Each year, members of the Temple Emanuel Community come together in our own sukkah. Simchat Torah is the “rewinding” of the Torah. It occurs a week after Sukkot. It’s the day Jews finish the annual reading of the Torah and go back to the beginning. Since the Torah is written on a scroll rather than in a book with pages, this means rewinding it. 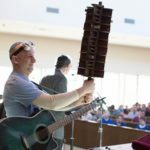 At Temple Emanuel, we unroll the Torah in our Sanctuary for kids and adults to see. Chanukah, the Festival of Lights, celebrates a miracle in the rededication of the Temple in Jerusalem. It starts on the 25th day of Kislev (late November to late December). 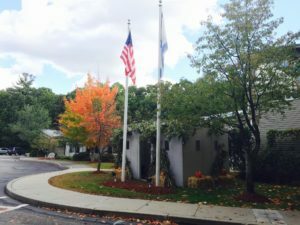 Though the holiday is traditionally celebrated at home, there are also many celebrations at Temple Emanuel. We invite you to our Chanukah Night of Music, Sisterhood Chanukah Party and Chanukah Party for our Seniors. Please read Rabbi Goldstein’s Chanukah At Home Guide. Other Chanukah Resources. This early spring holiday occurs on the 14th of Adar and celebrates the events described in the Book of Esther. Queen Esther saved the Jews of Persia from a plot to destroy them by the king’s minister, Haman. Children love to drown out the evil Haman’s name with their groggers and to eat hamantaschen, cookies shaped like his hat. Join us for Purim Carnival hosted by TEMTY, the Religious School Purim Shpiel and our Purim Party for Adults. Passover starts on the 15th of Nisan (in March or April). It celebrates God’s redemption of the Israelites from slavery in Egypt as described in the book of Exodus. Occurring in the spring, it also celebrates the rebirth of life in that season. The seder (the ceremony and dinner) is traditionally celebrated in the home. However, we invite you to join the annual Temple Emanuel community Seder.